« Buakaw, Larger than Life! Saturday the 27th April will see the return of Fighting Spirit, this time to the Via Dell Oceano Atlantico in Rome, Italy. The event will feature a full international line up of athletes as they take on local heroes. 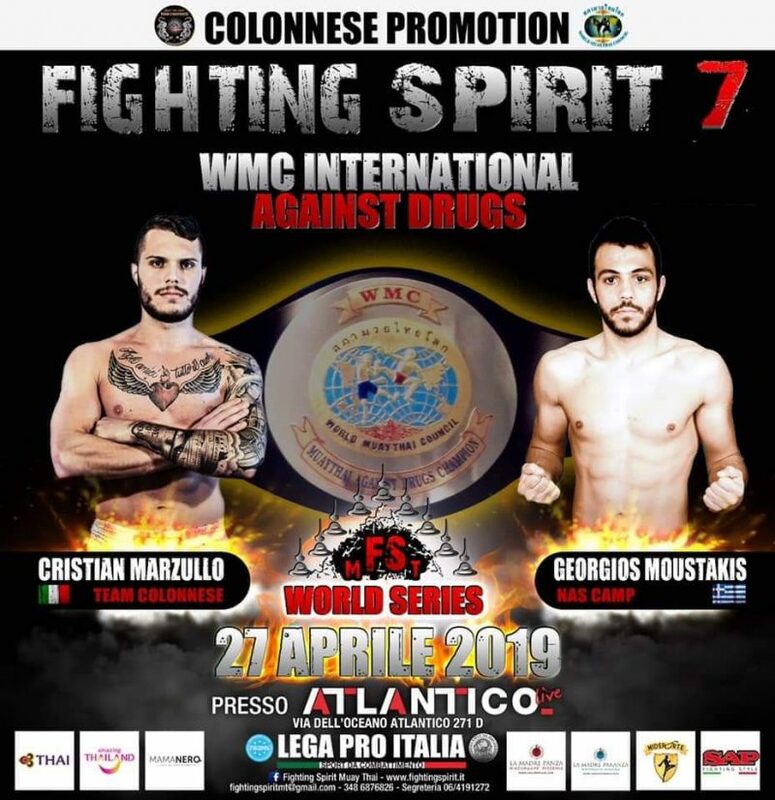 The main event of the evening will see Cristian Marzullo from Italy go head to head with Georgios Moustakis from Greece for the WMC Muaythai Against Drugs title. Davide Carlot the President of WMC Italy stated that muaythai in Italy continues to grow from strength to strength and events like these help showcase how far our athletes have come on in the last few years. The WMC would like to thank Davide and the Italian Muaythai Federation for their hard work and dedication to the sport and making events like this possible. This entry was posted on Thursday, March 21st, 2019 at 4:43 PM	and is filed under News.